"Psst! Hey Sophs, up here!" She heard someone call above her and it didn't sound like Baltove. Sopherie reluctantly looked up and something that made her brim with relief. The real Jaidenenk was looking over the edge and had a length of chain. She could tell he was real because he had called her Sophs and had a mischievous gleam in his eye; something else Baltove had lacked when impersonating him. Jaidenenk grinned and carefully lowered the chain down, trying to make sure it didn't clatter against the steel walls. Sopherie grabbed the end of it when it reached her and to her surprise, Jaidenenk began to pull her up with it. She was expecting him to let her climb up it. Jaidenenk had grabbed her hand and was helping her get those last few millimetres out of the pit when Baltove looked away from his finished calibrations and screeched in incoherent rage when he saw Jaidenenk. He thought that Jaidenenk was safety out of the way. But now because of him, everything was beginning to unravel. "Sophs, I hope you're ready to fight." Jaidenenk said. "Jaiden, I'm always ready." Sopherie replied as she reached for her bow and an arrow out of her quiver. "Jaiden, I'll distract him," Sopherie whispered to him. "You go to that ray cannon and find a gray gem, that's what's powering it." "And take it? I'm on it, Scarlet Shadow." Jaidenenk whispered back. As Sopherie began to nock and shoot arrows at Baltove, Jaidenenk went around the other side of the ray cannon. Baltove, enraged by the sudden turn of events made his way towards Sopherie, throwing punches with impressive reach thanks to his stretching powers. Sopherie kept backing away, shooting an arrow whenever she could and trying to keep out of range as she knew from experience that just one of those punches would mean lights out for her. She just hoped that Baltove didn't manage to corner her. Meanwhile, Jaidenenk searched for the gem Sopherie had described to him. He didn't know how long Sopherie would be able to distract Baltove while also holding him at bay so he knew he had to find it quickly. The problem was he couldn't see it anywhere in the vicinity of the ray cannon. He feared that it was powering it remotely until he went back around the front of the cannon and saw something glow inside the barrel. "Oh, you've got to be kidding me..." He grumbled to himself. He measured how wide the barrel was and concluded grimly that he wouldn't fit. But then a devilish smile came to his lips when he realised that Sopherie probably could. Being like all Kacheeks, Sopherie was small and barely came to just below Jaidenenk's shoulder. "Sophs! Switch places!" Jaidenenk called to her. "What? Why?" Sopherie called back as she was snapping off arrows at Baltove from a precarious ledge while Baltove howled and tried to grab her, the arrows didn't do much as Baltove was mostly immune to feeling pain except in more sensitive spots, like his nose. Jaidenenk wordlessly pointed at the barrel. Sopherie eyes narrowed in disbelief and she jumped off the ledge she was on, going right over Baltove's head and ran over to Jaidenenk. "You can't be serious! It's in the freaking barrel?!" She yelled at him in disbelief. "Yes, the freaking gem is the freaking barrel and I can't freaking fit so you have to freaking get it!" Jaidenenk said, deliberately using the word "freaking" wherever he could. Sopherie glared at him. "I hate you." She said simply. "Duly noted. Now go and get that gem while I keep the Jelly Moron busy!" Jaidenenk replied as he drew his knife and ran towards Baltove. Sopherie watched him charge towards Baltove before turning to the barrel of the ray cannon and sighed. "I sometimes really hate my duties as a Defender." She mumbled to herself as she crawled inside the barrel. It was dark inside, but the Gem of Rundeth was keeping the area around it softly illuminated. Sopherie carefully crawled her way up to it and discovered that a small sheet of glass covered it. Sopherie began to feel around for a button or something that would slide the glass out of the way. She finally felt a smooth edge, which she traced with her finger to find that it was the edge of something circular. She moved her finger inwards from the edge and pushed. The glass slid up, away from the gem and Sopherie carefully pried it from the slot it was occupying. She carefully backed out of the barrel and slid out just in time to see Baltove attempting to strangle Jaidenenk with the same length of chain he had used to get her out of the pit. Sopherie grabbed her bow and nocked an arrow. She aimed that the only place she knew it would really hurt for Baltove. She shot him in the nose. Baltove howled in pain and both of his hands went up to his nose, making drop both Jaidenenk and the chain. Jaidenenk scrambled backwards away from him, breathing heavy as he did. Sopherie went over to him. "Are you alright?" She asked him. "I'm fine, considering that I was getting strangled..." Jaidenenk said breathlessly. "You've got bruising on your neck. I'll give you first aid for that at the substation, but we have to get out of here first." Jaidenenk nodded and rose to his feet. "You aren't going ANYWHERE!" Baltove suddenly growled. He had pulled the arrow out of his nose and he looked furious. "I stole that gem fair and square! I'm not letting you take it from me that easily!" Sopherie and Jaidenenk looked at each other. "Run." Sopherie affirmed and the two began to run for the exit, skirting the pit that Sopherie was formerly trapped in. Baltove changed for them, blinded by his anger. Instead of skirting the pit like Sopherie and Jaidenenk did, Baltove fell straight into the pit with a surprised yelp. "Oh... Well, that's convenient." Sopherie said in surprise. "Ha! He was so angry he forgot about his own pit! And deserves him right too!" Jaidenenk said jovially. Sopherie looked over the edge at Baltove. He was attempting to reach the top of the pit by stretching his limbs but couldn't quite reach. "My, my, Baltove. How the tables have turned. How's the view from down there?" She said to him. "Oh, yes. You're hilarious. I assure you, you won't find any hilarity when I get out of here!" Baltove growled at her. "Oh look! I can put the cover on the pit. Do you I should, Scarlet Shadow?" Jaidenenk said as he was looking over the control panel. Then he pressed a button and the cover slid over the pit. "Oh wait. I already did." Sopherie giggled a little, then a sudden thought came to her. "Do you think it's airtight?" She asked. "Nah, I wouldn't think so. He should be fine until you call some more Defenders over to arrest him." Jaidenenk replied. "Mm, yeah. You're probably right." "So he escaped after all..." Sopherie said in disappointment. She was back at the Defenders of Neopia Headquarters and was being debriefed by Judge Hog. "Yes, we found that pit you were in uncovered and everything else in the hideout was destroyed." Judge Hog said. "Ugh, he must of had a remote control or something and was able to uncover the pit with it and get out." Sopherie growled in irritation. 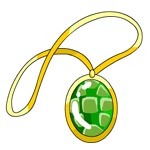 "However, you did get the Gem of Rundeth back and Queen Fyora is very grateful to have it back. So I call this a mission clear." Judge Hog said with a smile. Sopherie smiled back, he was right after all. "I still feel a little silly about how he tricked me though. I should have been suspicious from the start. I never know if Jaidenenk is truly on my side. Even though he was this time." "Hmph. Mr Cloud is unpredictable. But we can't stop him without the means to arrest him." Judge Hog muttered. Sopherie decided it was best not to say that she may prefer it that way. Jaidenenk was unpredictable, but he was always a good ally to have in a pinch. Besides, Baltove's continued freedom was her foremost concern. But she would catch him next time, he couldn't avoid justice forever. No matter where evil went in the wide world of Neopia, the Scarlet Shadow is always watching for the good of all. Meanwhile, in the mountains of Shenkuu, a steel door was blocking off a tunnel dug out of one of the mountains. Inside of this mountain was a network of caverns. One of these caverns was a veritable armoury of very dangerous weapons and a blue Lutari in a cloak was observing the weapons with a thoughtful look on her face. If you looked into her eyes even now, you'd see cold and unfeeling pools of grey. "So, my next is a Defender, eh? This next job might be an actual challenge and it's been so long since I've had one. Watch your back Defender Scarlet Shadow. It'll be no fun if you let me take you down too easily." Another day, another enemy made.